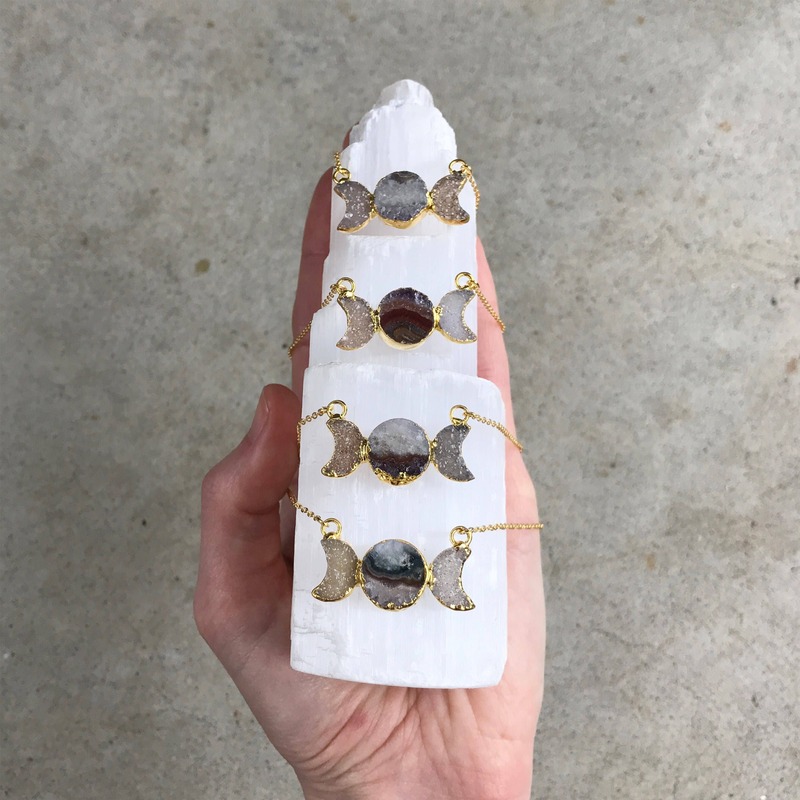 This listing is for one moon phase necklace. 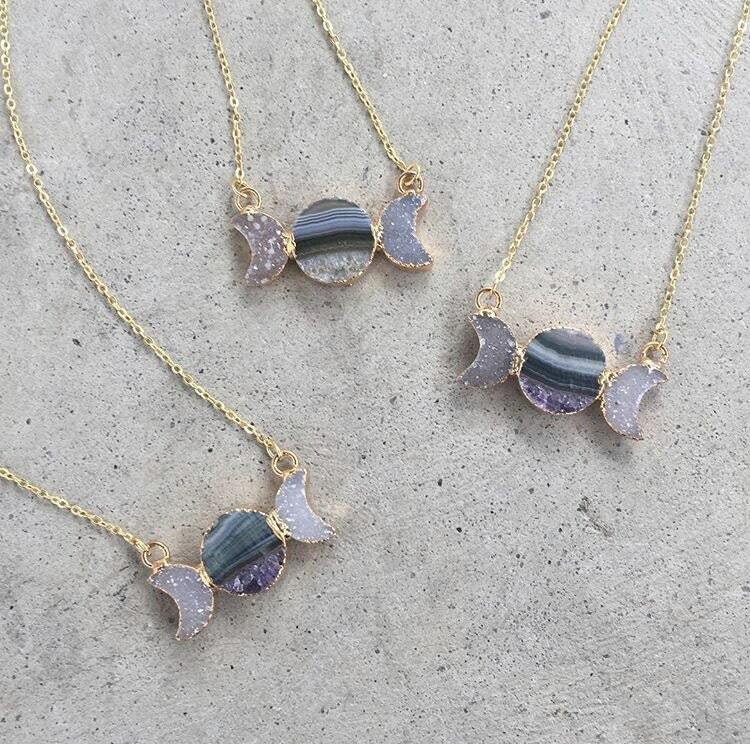 Two small druzy moons are attached to a circle shaped slice of amethyst. The whole pendant is electroplated in 24k gold. This triple goddess pendant is gorgeous! It is the perfect size and weight. 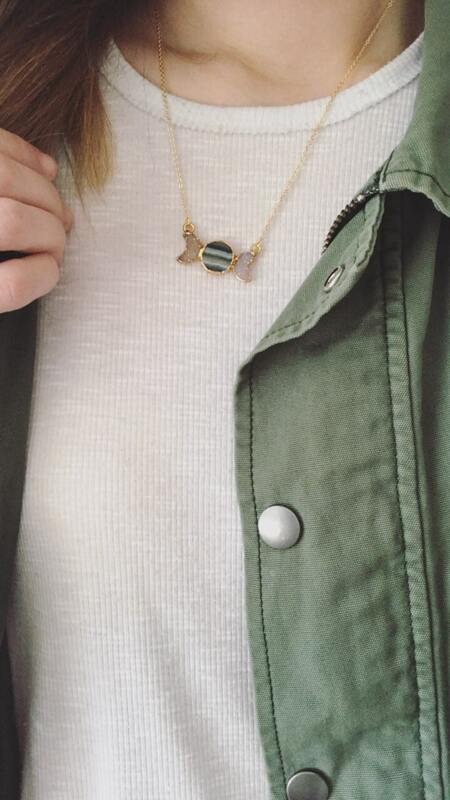 Not too gawdy, but versatile for any occasion!